It's often said we love a good villain. The attraction of a larger than life character like Dr Lector or Loki is possibly these characters have a sense of freedom to do and say those things we cannot. But there is also the view that every villain is actually the hero of their own story. Their actions are internally at least logical even if morally questionable. 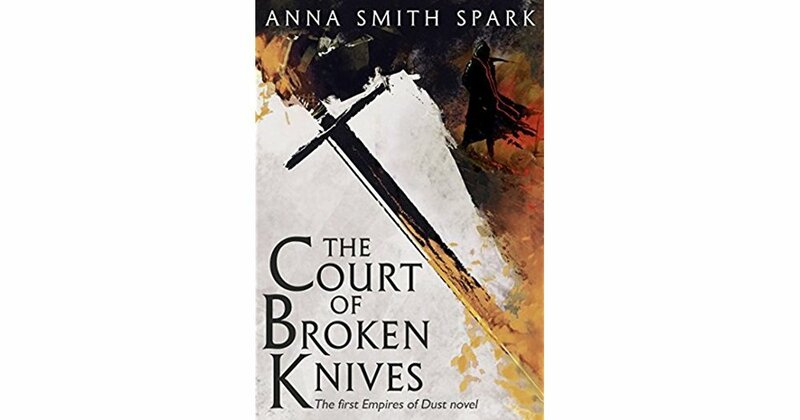 In this excellent debit Anna Smith Spark gives us a new fantasy sequence that gives us fascinating characters who while they can do terrible things are ultimately very very human. In some ways it starts quite traditionally as we see Orhan is a man watching the ancient empire his family has served being increasingly pressured by outside enemies and corruption. His solution is to kill the ineffectual Emperor and install order through his own supporters. An infamous group of mercenaries are hired….and it all goes to Hell. A running theme to the book is that cunning plans rarely actually pan out the way you expect. The question then is what do you do next and how far do you then go? We have a focus on three main characters. Orhan is civilised, kind to his family and slightly balancing his effectively political marriage to his wife Bil and his actual love for his friend Darath. Outside of Government in the Temple of Tanis we have Thalia the High Priestess brought into service at an early age her life is the temple conducting prayer and when required human sacrifice – dutiful but always aware that due to the nature of the religion her own life hangs in balance as the Temple always looks for her successor (who then must kill her) and then into this mix wanders Marith and he is the catalyst for tearing this world upside down. Choices are an important factor in this story. Smith Spark really makes each of her characters very human rather than a fantasy trope and we see the society they all come from has forced them into certain roles. Orhan cannot be with the man he loves; Thalia cannot refuse to sacrifice, or her own life is forfeit and the childhood Marith has come from has quite frankly made him think he is a worthless man ready for death. As a reader I found myself willing them all to succeed but then recoiling as some of those choices mean others will be hurt. A political revolution doesn’t just remove one corrupt ruler but their servants, old friends and even just those passing by may find themselves sacrificed for the greater good. The old saying about the road to hell being paved with good intentions is apt here. Each character gets a choice to say no but for the best of reasons they decide to plough on. That we understand and sympathise with their monstrous choices may be the biggest horror of all. Very few don’t feel guilt they just feel the world has sadly not given them a real choice. Another strong point as to why I loved this is the quality of the writing and worldbuilding. From the desert empire of Sorlost with it’s temples, drug dens and bronze walls to the small desert towns and then later a mysterious northern island kingdom. The descriptions of these place really give you a sense of wonder. Be it a mage performing magic for street theatre; a small town having a party that allows characters a night away from their lives; to a hard town of whalers battling for survival in rough seas. Everywhere you get a sense of a mysterious realm of gods, dragons and an ultimate fear that life here is fragile and a character you have warmed to may be only few pages from facing death.